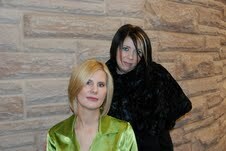 I am very happy to welcome Charlotte Bennardo and Natalie Zaman, authors of the two books in the Sirenz series. Welcome ladies! Natalie ZamanWhen not playing with pointed objects, Natalie Zaman is usually writing. She lives in central New Jersey with her family and several fine looking chickens. Visit her on her website or on her blog. Lover of sparkly things, Char doesn't have as many shoes as she'd like, but wouldn't have time to wear them anyway with her three boys, husband, cat with issues, demented squirrels and insistent characters all demanding her time. She is represented by Natalie Lakosil of the Bradford Literary Agency and is hoping to get all her characters into print just so they'll be quiet. Visit her on her website or on her blog. Me: How did you two become writing partners? Char: Picture book flopped. Next project- a YA book. Me: How did you come up with the idea for the Sirenz Series? Char: First it was vampires, but everyone doing vamps. "Sirens' popped into head. Nat: Loved the idea of the mythology being fun, somewhat modern, and a bit campy--LOVE camp! Char: Hades, Persephone, etc. all from Greek myth, we added the twist. Me: What can we expect from Sirenz Back In Fashion? Char: More hot Hades, more laughs, more romance. And more trouble. Me: Why do you write young adult novels for and how did you get started? Nat: Teens have a lot of potential and power--it's a great age and a challenge to try to write about and for. Char: Started in PB but I talk too much. Work in MG & YA so I don't have to count words. Me: How familiar were you with Greek mythology before writing Sirenz? Was a lot of research required? Nat: There were things I thought I knew, but research showed there are many nuances, many versions to the myths we learned in school! Char: Knew the basics from literature, but had to research about sirens, lesser known tales of gods. Me: How did you get your first publishing deal and how did that feel? Char: We sold Sirenz without an agent, just submitting wherever we could/it fit. The neighbors heard us screaming. Me: What is your favorite part of the writing process? Least favorite? Char: I LOVE starting a new project, writing that first draft. HATE numerous edits/revisions. Me: What is your favorite thing about writing? Least favorite? Nat: Who said "I hate writing, but love having written" or something like that. Yes--that sums it up! Char: I love the characters coming to life, when it all flows. HATE having to re-envision a story. Me: What is your favorite book and what are you currently reading? Char: I have a MG animal fantasy out on submission, and am working on 2 YA's; a scary ghost story and a paranormal/reincarnation story. Me: Thank you, Natalie and Charlotte! 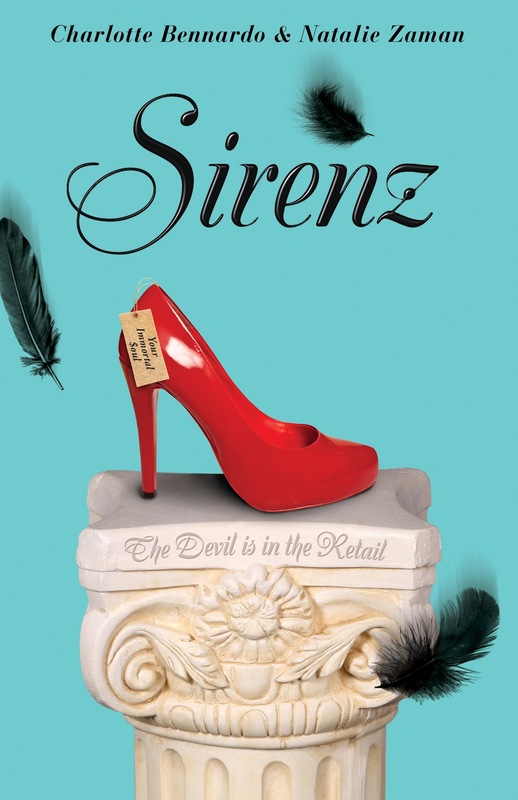 Two frenemies and roomies, Meg and Shar, find to-die-for designer shoes--with tragic consequences. Only Hades, seductive Lord of the Underworld, can get the girls out of a terrible situation, but for a price... They must become his sirens, and complete a task before they kill each other- or have to go back to school. And now for the giveaway! Just fill out the Rafflecopter form below and good luck!